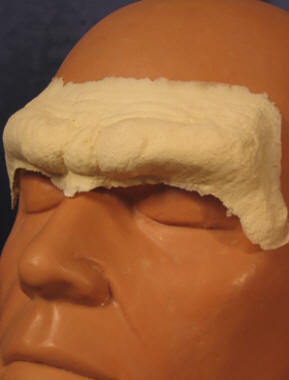 Our caveman mask brow is made of high quality foam latex. Add a crepe hair mustache, beard or eyebrows for even more realism. Want a mask with a big nose included? Want a caveman brow with the cheeks? Download our FREE Foam Latex Appliances: Make-up Application Guide (PDF). You’ll learn how to apply, hide the seams, color, remove and store your foam latex masks and appliances. Great for beginners or professionals.